DUBUQUE — Gripping a small wooden cross as they stood in front of their peers in the Wahlert High School chapel, one by one each of the 18 candidates and many of the 15 adult team members of Teens Encounter Christ (TEC) retreat #575 shared a moment from the three-day event where they felt closest to Jesus. Jackson, now a Loras College student, was one of about 10 speakers that told the high school students, mostly seniors from Dubuque, Tama, Edgewood and other communities, about their journeys of faith over the three-day program. 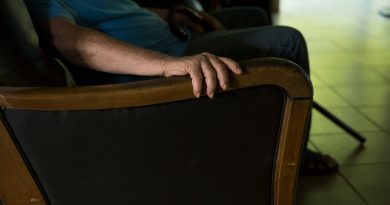 During the time for reflections in the chapel, one of the last parts of the retreat before the closing Mass, a common theme emerged — we are not alone. We have each other, and, ultimately, Christ. For Jackson, who focused her witness talk earlier that day on how a personal relationship with God helped her face the challenges with Type 1 diabetes and other health issues, this truth that we are not alone keeps her involved in the retreats. 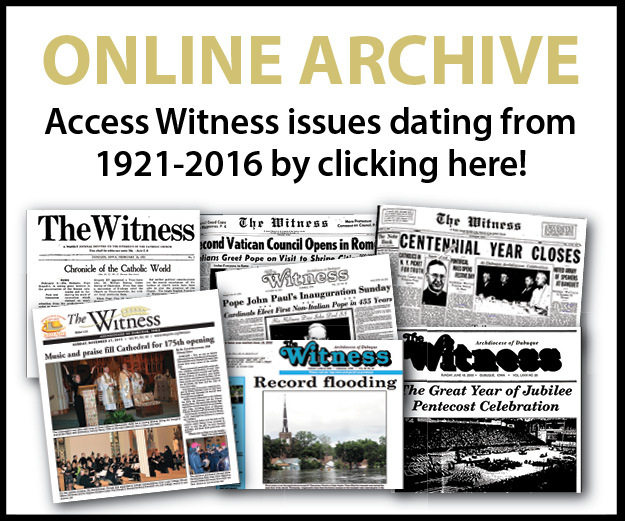 In 2018, TEC is celebrating its 50th anniversary in the archdiocese. 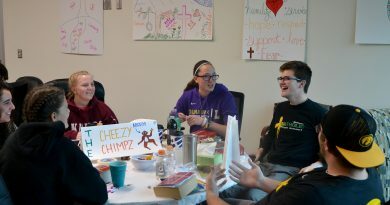 Each retreat features the same core elements — talks on faith, an opportunity to pray and receive the sacraments, and of course, the chance to have fun and meet new people. All retreats have a number assigned to them, and since each gathering brings together different personalities, each one, including 575, is unique. Gabe Wigginton, one of the candidates, said that a Sunday volleyball game was a defining moment for the latest TEC. 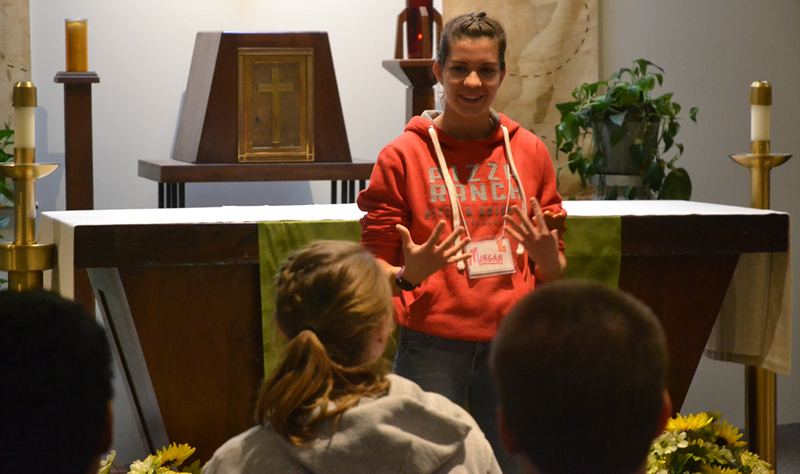 Jenna Michel, a Wahlert teacher, served as director for the Nov. 10-13 retreat. Over the last half-century, TEC has had a major impact on the course of many lives. Such is the case with Julie Scmidt, the TEC program director for the archdiocese who served on the team of TEC 575. 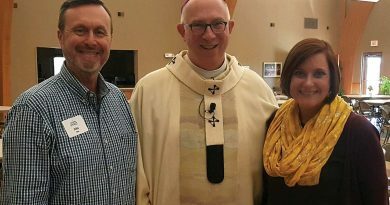 The school counselor and youth minister from Bellevue attended her first retreat, TEC #389, at Marquette Catholic High School in 1996. Schmidt, a public school graduate, became familiar with Marquette through the retreat and later took her first job there. As TEC program director, she helps maintain continuity in the local TEC retreats based on a national standard. “The overall set up of TEC is the same with a few minor adjustments,” she said. Jim Kuhl, theology teacher and TEC coordinator at Wahlert, is a 40-year veteran of the retreats who believes passionately in their value for young people. Although many participants have profound mountaintop experiences on their first TEC, this is not true for everyone. Father Andy Upah, spiritual director for TEC #575, is an example of this. 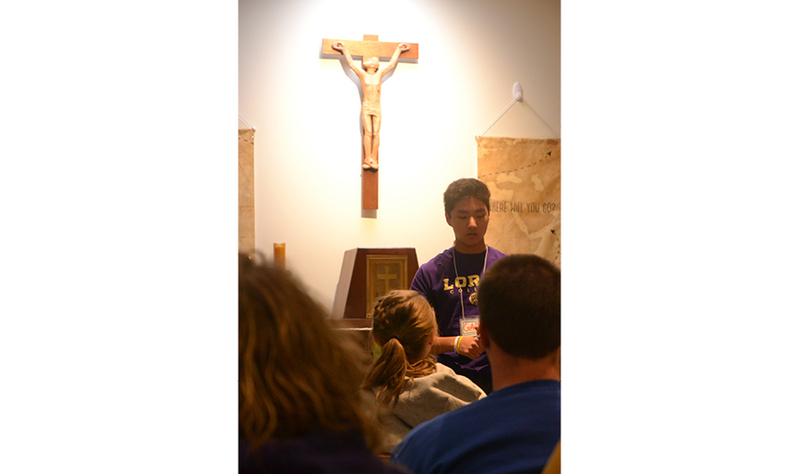 He attended his first retreat in Cedar Rapids as a high school senior. Despite his initial experience, Father Upah got much more out of coming back the following year, and then again in college, as a team member. Father Upah gave one of the talks during TEC 575, and also celebrated Mass and the sacrament of reconciliation. “What I did hear a couple people say is how important confession and the communal reconciliation we did (was),” reflected the priest. While taking a break from working on his homily for the final liturgy, Father Upah said he hoped the candidates would go home having a stronger relationship with God. 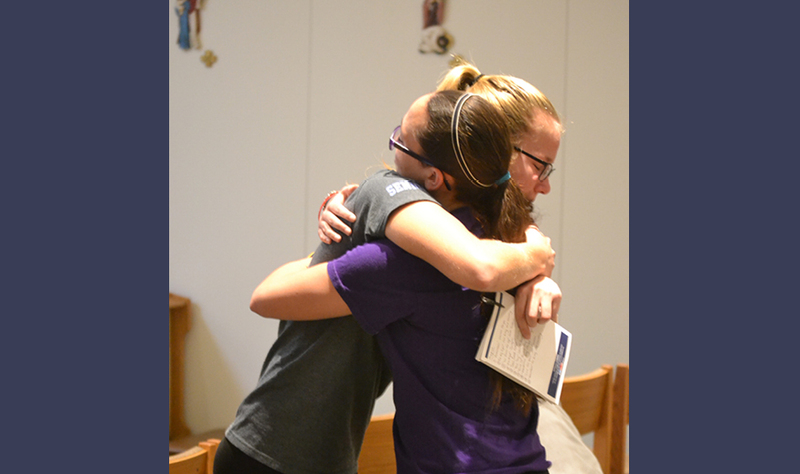 Mary Fruend, one the candidates, said she hoped to pass on some of the knowledge she gained from TEC to others who participate in Kairos, an upcoming retreat for juniors. 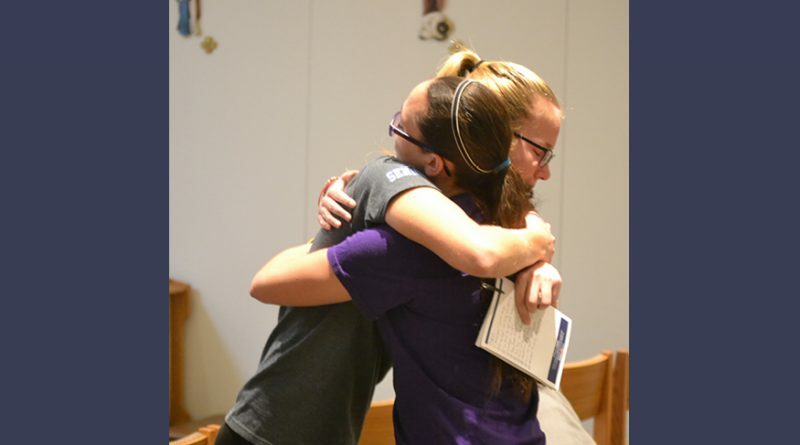 “I’m going to be leading a Kairos this year, and I wanted to strengthen my relationship with God and strengthen my faith before I did that just so I’ll be able to give the juniors a better experience,” she said. ← What’s the difference between a retreat and a vacation?